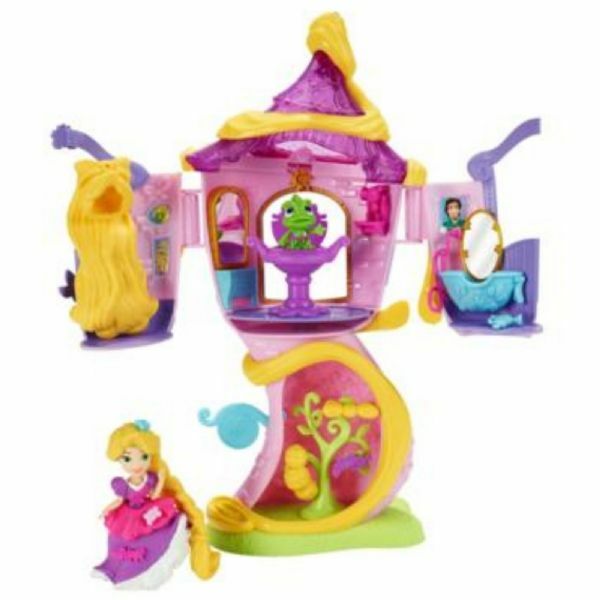 Rapunzel's Stylin' Tower is where magical hairstyles happen! 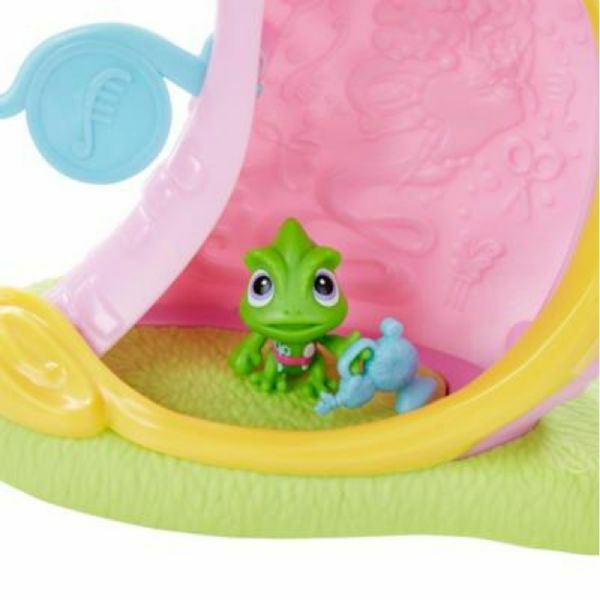 This playset features 2 levels of fun and closes for easy storage. The upstairs has a swivelling styling chair and washbasin for complete hair makeovers. The downstairs includes additional Snap-ins and a storage tree to keep them together. 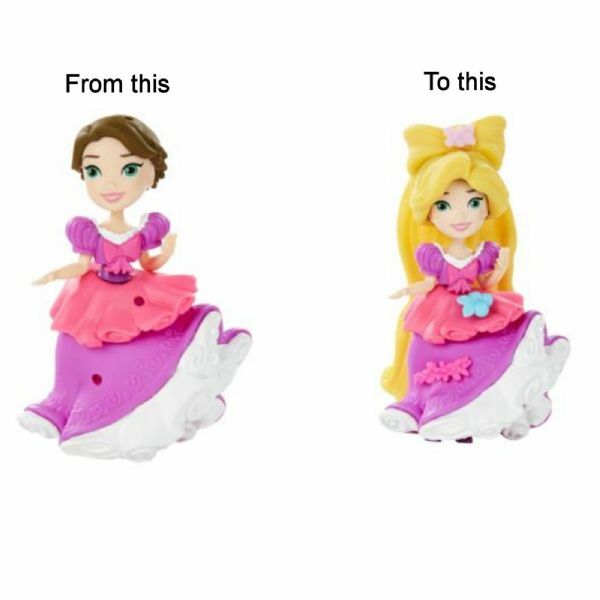 With the help of Pascal, girls can give their doll a new look. 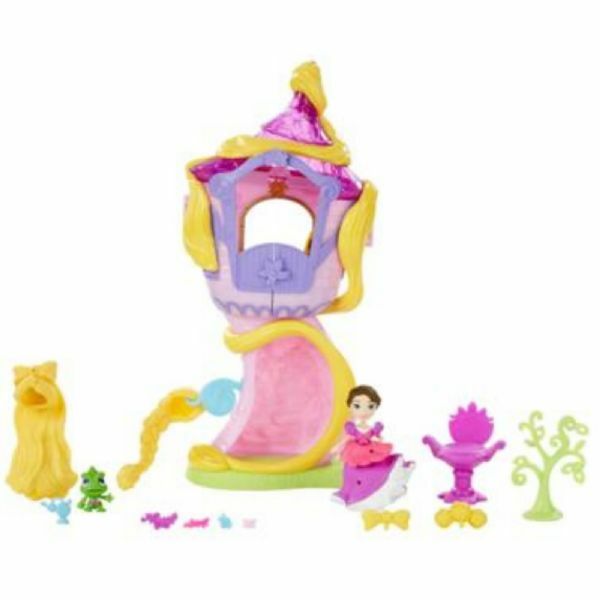 Your little dreamer can keep the fun going by creating this Rapunzel doll's outfit and accessorizing her with the included Snap-ins. For children ages 4 years and up.